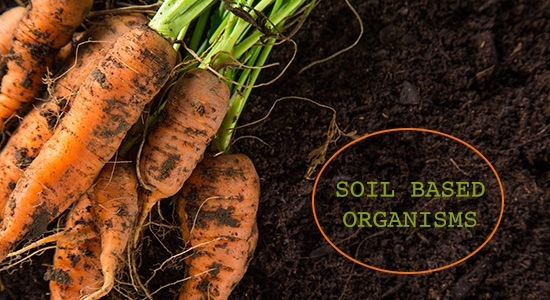 Soil based organisms (SBO) may be among the most important things for your health. No kidding. Studies show SBOs confer a host of healthy benefits. While certain benefits provided by SBOs may overlap with those conferred by lactobacteria-based probiotics, it is apparent that soil based organisms offer significant advantages. 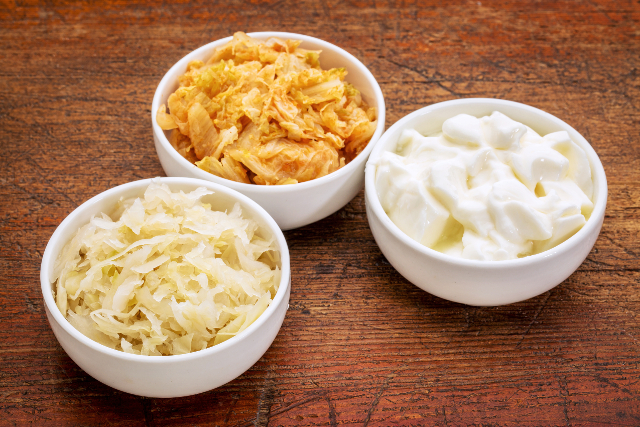 In fact, Fred wrote an article on probiotics last year covering a new type of probiotic and prebiotic formula that provides soil based organisms. Studies on the human microbiome are revealing many surprises that give us a new understanding of the importance of soil based organisms for human gut ecology. Scientific research on the beneficial roles played by bacteria for human health is advancing rapidly. 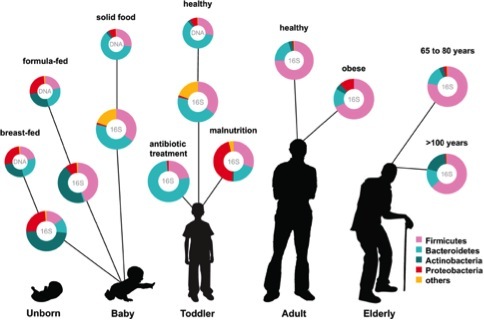 In 2012, Hank wrote short piece titled, “A New View of the Role of Bacteria in Health.” A key point he explains in that article is the fact that the our body’s microbiome contains 99 times more genetic material that is non-human (i.e., bacterial) than human!! Microbes living on a person outnumber human cells 10 to 1. 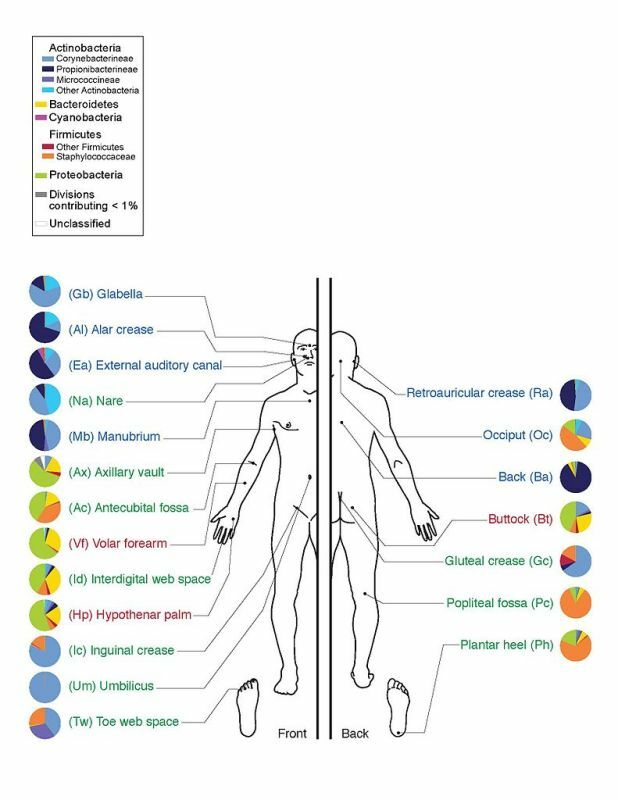 There are trillions of cells from thousands of species in the human microbiome. Another key point is that bacteria living on (and in) us possesses a sophisticated communication system enabling them to “talk” in both intraspecies and interspecies ways using a kind of hormone signaling language. Hank cites the 2009 TED talk of Princeton molecular biologist Dr. Bonnie Bassler who studies how bacteria communicate with each other through chemical signals that allow groups of bacteria to act as a unit, i.e., take collective action. Dr. Bassler’s groundbreaking research holds promise as medical research, and supports the idea that probiotics, including soil based organisms (SBO) play essential roles in human health and wellness. In fact, the major implication of current discoveries regarding roles played by bacteria in the human microbiome is that beneficial bacteria are far more important for health than previously understood. A practical application of new knowledge regarding the human microbiome may simply be the recognition that increased consumption of soil based organisms is good for us. 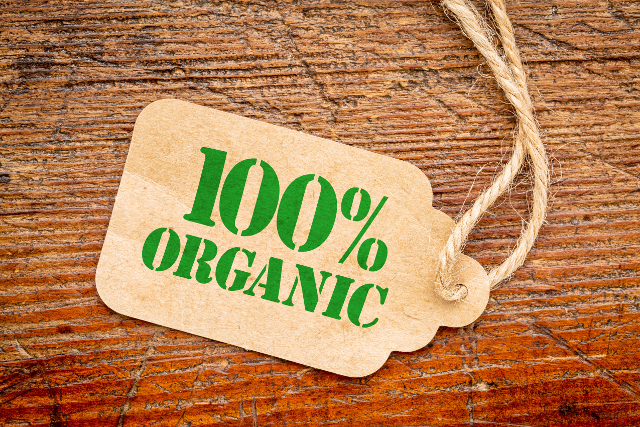 Nowadays due to lack of exposure to soil based organisms resulting from modern food processing systems and the extensive use of pesticides that destroy the organisms, the average person has a very different composition of intestinal flora from their ancestors. There are far fewer soil based organisms, and more lactic acid bacteria. In addition, the use of antibiotics for young children has further swayed the balance away from these beneficial bacteria. We at Health Products Distributors, Inc. researched various products containing soil based organisms. 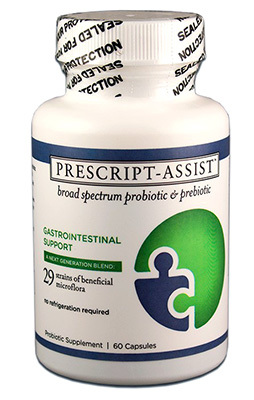 We now carry Prescript-Assist™, an effective, well-regarded broad spectrum probiotic and prebiotic formula. 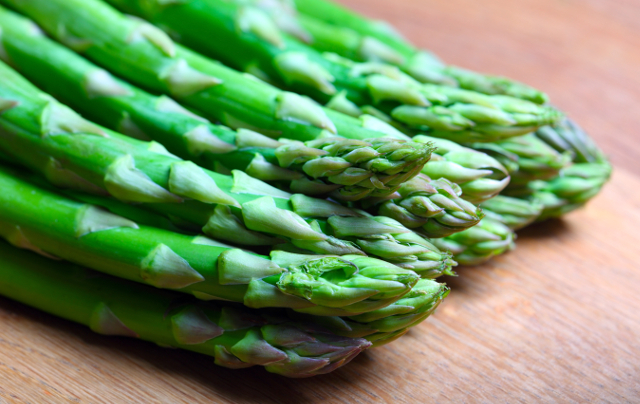 It is clear that the number and types of species found in the gastrointestinal (GI) tract can be a primary difference between an optimal digestive system and immune system, and one less than optimally functional. In scientific studies, individuals exhibiting higher levels of gastrointestinal distress and gut irregularities have been found to have a correspondingly lower variety of beneficial bacteria in the intestines. 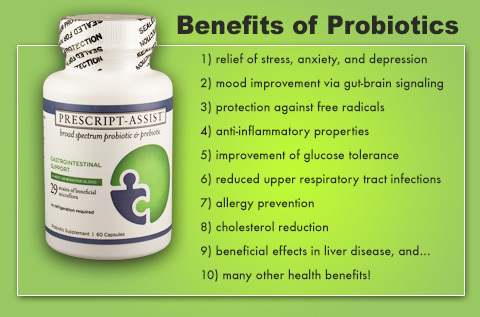 In sum, Prescript-Assist™ provides bacteria that reach the intestines intact due to the fact that the spore structure protects against degradation or destruction by stomach acids. We ourselves take Prescript-Assist™ and experience major health benefits. In addition, we personally witness and hear from many individuals (including health care professionals) who have experienced the benefits of the formula. The results reported are excellent. 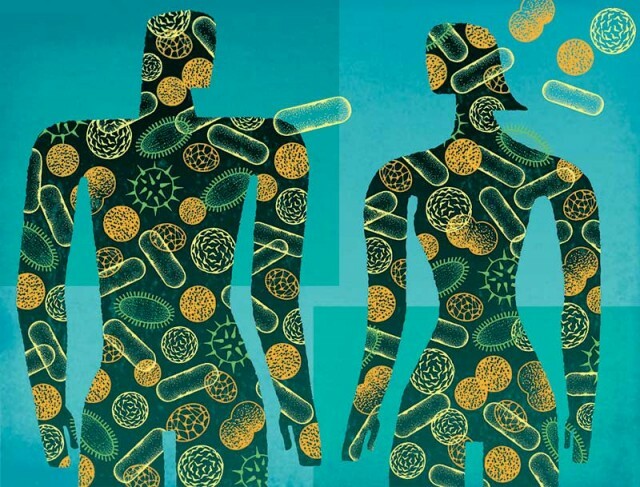 Today it is more important than ever to utilize our current (and rapidly expanding) knowledge about the human microbiome and its constituents to support optimal health and wellness. Science tells us that the human microbiome historically has been populated by a broad range of soil based organisms. Where we have moved away from nature and traditional agriculture, individuals’ microbiomes can become less vibrant, diverse, and robust. Supplements like Prescript-Assist providing soil based organisms can help bring us closer to having the microbiome our ancestors enjoyed. 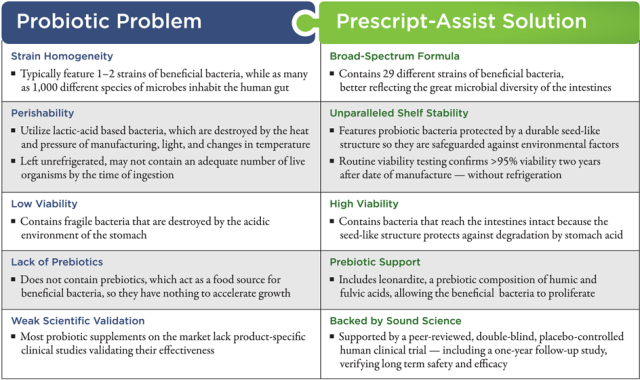 Learn more about Prescript-Assist™ Probiotic Formula. Apply to become an HPDI wholesaler.